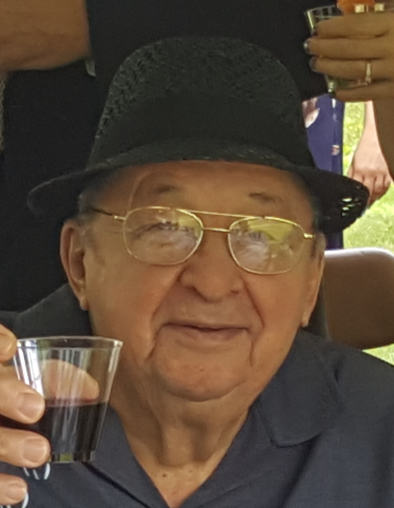 Obituary for Daylight Taddeo | John Syka Funeral Home, Inc.
Daylight Taddeo, 86 of Baden, passed away Friday, August 31, 2018 in Rochester Manor. He was born March 23, 1932, the 8th of 10 children to the late Emanuel Maria (Bello) Taddeo. Daylight married Marge Pinksa on October 11, 1958. Their union produced 4 sons; the late Frank Taddeo, James (Charlene) Taddeo, John (Laurelle) Taddeo, Joseph (Jenn) Taddeo, six grandchildren, and three great grandchildren. Daylight married Jimmie Lee Holland on September 6, 1985. Their union provided Daylight with a stepdaughter; Traci (Tim) Schoeneweis, and three additional grandchildren. Daylight was a U.S. Army veteran serving in the Korean War. Respecting Daylight's wishes there was no public visitation, and a memorial service was held privately. Funeral arrangements were entrusted to the John Syka Funeral Home, Inc., 833 Kennedy Drive, Ambridge. Daylight's family would like to thank everyone for their love, cards, and support throughout his illness.